Dynamic Roofing Concepts has you covered when it comes to your roof repair. The roof over your home was designed with endurance and sturdiness in mind, and can take a remarkable amount of abuse from a variety of elements. However, long-term exposure makes repairs inevitable. Depending on the extent of damage, a simple roof repair may be all that’s needed to restore functionality to your roof. The solution to managing roofing issues requires regular inspection and maintenance by the homeowner and a qualified roofing company. The longer a roofing problem is left untreated, the more severe the potential damages can be for your home. Our team of professionals is fully trained to identify, correct, and resolve the effects of roof issues. 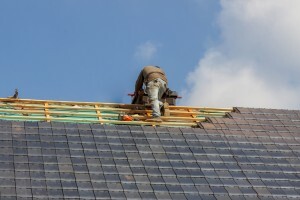 Here at Dynamic Roofing Concepts, we are invested in the protection your roof provides for your family and your home. Contact us today at 813-257-9355 to schedule an estimate for a roof repair in Tampa, FL and Odessa.